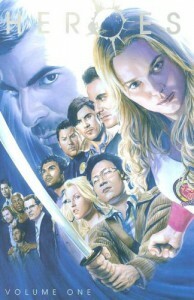 Heroes: Volume One is a collection of the 34 online comics that were created based off of season one for the popular NBC show Heroes. These comics depict a mix of characters that have abilities and their path toward overcoming the problems and dangers that arise as a result. While I enjoy graphic novels and mangas, I have always struggled to read comics. The short format and story plots just never seemed to grab my attention. That being said, I found this volume to be wonderful. It had everything I loved about the series and more. While I wished it went into more depth for my favorite character, Hiro and Peter, I found the background and stories for the lesser known characters to be a nice addition. Hannah Gitelman (aka Wireless) is a perfect example. Wireless was someone I did not really think much of in the show but grew to admire immensely from the comics. I would recommend this collection of comics to anyone who likes a story about people with abilities or stories with an action packed plot. While it is geared towards those who have watched the show, it would still be enjoyable to those who have not. I am very much looking forward to reading the second volume.